When I started this blog I told myself that I wouldn't badmouth about schools, but I'm afraid today I do have something bad to say about them. I decided to unschool my children not because I thought schools were bad for children — I didn't. On the contrary, I was sure schools were better today than what they were when I was a school kid. Only when my kids' friends started school did I find out that in some regards no progress has been made when it comes to giving children an education. I get surprise after surprise. A couple of months ago a girl was given a detention at a school in Bunbury because she hugged another girl and that violated the school's no-hugging policy. I don't watch television, but for about a week this news was in everyone's conversation. Bunbury is only one hour away from where I live, so I kept hearing about it. How paranoid and ridiculous are schools getting that they have to make rules like this? Apparently, the pressure comes from the parents, as my sister-in-law was telling me the other day. Schools have a hard time trying to keep all the parents happy, especially the overprotective ones. My sister-in-law was annoyed as she was telling me this because her kids' school had just banned anything associated with the Gangnam Style, following the complaints by one mother, who deemed the music and especially the style highly inappropriate for children. But the recent school story that shocked me the most comes once again from my friend Ann. Her youngest son, Daniel, who is now 6, was also given a detention one day. He was quite upset because he had no notion of having done something wrong. So the school called Ann and she had to get out of work to settle the matter. In fact, she had to apologise because what happened was entirely her fault, as she put it; she just never thought it would get to this. That's when he was pulled by the ear and sent straight to detention. Ann was amazed at Daniel's memory. Two years ago, when Daniel was only 4, the whole family went on a trip to the United States. It was in Los Angeles that Daniel and his brother met a very tall and beautiful woman who had a man's voice. They were mesmerised by her and confused at the same time, so they asked questions. As I would have done, Ann gave her answers with the plain truth and no euphemisms. She never thought that this conversation would bring her problems with school two years later. She argued with the principal, who said this sort of talk at school was unacceptable and she shouldn't talk to her kids about these things. Ann stood her ground by insisting that she wouldn't lie to her children because if she did they would soon find out, and if you can't trust your own mother, who can you trust? Schools are supposed to be a place where children go to get an education, but in many cases they are actually deprived of it. They are put there as if to protect them from the real world. Lots of Australian families take long family holidays and most schools don't have a problem with that — homeschooling is widely accepted in this country — and I'm sure everybody agrees that children learn more when they're out there, travelling with their parents, than at school. It is shocking and sad that when they go back to school they are denied certain information. Overprotective parents do this as well. They say that their kids are not old enough to know certain things, so they lie to them. This is so counterproductive. It is actually safer for them to know about the world. I'm not saying that you should make them watch the world news every night, but if they ask a question it means that they are interested in the answer and you should give it, they are prepared for it. 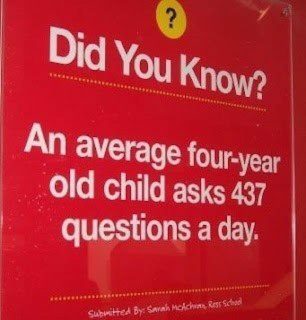 Just answer the question, don't give a full-on lesson unless they keep asking. This is how they learn. At school they only learn what they are really interested in, the rest they will soon forget. Daniel will probably never forget the way he felt the day he was unfairly given a detention. And I bet he will never ever forget his first lesson on transsexualism and how it is still stigmatized, even in Western culture. Excellent post, Carmen! My children now are grown up and live on their own, but when I was raising them, my golden rule was to answer always what I was asked, never more but never less. And I can say for sure it worked. Completamente de acuerdo con Carmen, una vez mas. La estrechez de miras y la mojigateria parece ir extendiendose en las escuelas sin excusa alguna, y si en las escuelas, donde debreia tratar de decirse siempre la verdad y remitirse a los hechos, se miente a los ninyos sin motivo, poco se puede esperar de la educacion que reciban.